This video will introduce you to ‘Excerpt’ with this quality unbranded video tutorial. By default your site will display the full content of your posts on the home page. This can mean lots of scrolling for your users to find and see the content on your site. WordPress provides two excellent options for cleaning up your blog, RSS feed and archive pages. The ‘Excerpt’ module gives you the option to create or add exactly what you want your readers to see before clicking to read the full post. 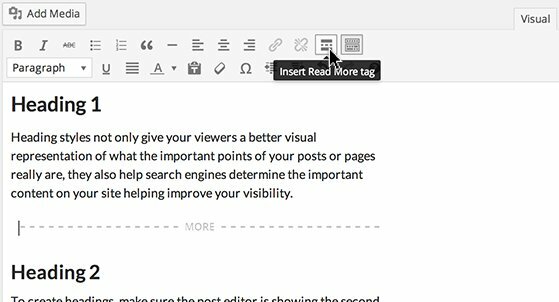 To activate ‘Excerpt’, first click ‘Reading’ under the ‘Settings’ tab in the WordPress dashboard. Find the option that reads ‘For each article in a feed, show’ and choose ‘Summary’. Under the ‘Reading’ options select ‘Summary’. Next, navigate to either the ‘Add New Post’ or ‘Edit Post’ screen. If the ‘Excerpt’ module is not displaying, click the ‘Screen Options’ tab just near the top of the dashboard and under ‘Show On Screen’ tick the box next to ‘Excerpt’. The ‘Excerpt’ module should now be showing in the post content editor. Create or copy-and-paste text into the Excerpt text box that you would like to display in your feed and then click ‘Publish’ or ‘Update’. Excerpts may only impact how content is viewed on your RSS feed. If your blog is still displaying the full post, another solution is the ‘Read More’ tag. This can be found in the tool bar of the ‘Visual Editor’. Place the cursor where you would like the content to break and click the ‘Read More’ tag. Everything above the tag will display in your blog feed followed by a link to read the full article. Put the cursor where you want to break up the Post and click the ‘Insert More’ tag icon. Sharing this video with your users, clients or internal staff will help make the content on your site or network easier to navigate and help provide a more visually appealing user experience.